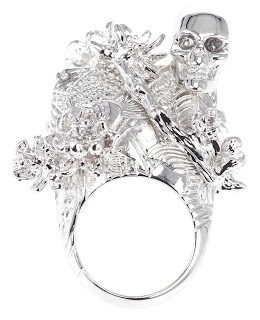 You may think I'm including Alexander McQueen's cherry blossom ring because it has a skull amidst the silver petals. Nope. Check out the answer and other found items after the jump. BAM! It's a secret ode to the downfall of humanity. What do you think of that haute couture F.U., John Conner? This pump was part of McQueen's Spring 2010 Ready-to-Wear line so it's been around for a while but who cares? This sucker is so very steampunky. I would probably break both ankles wearing it but for the moment before I did, I would be the most awesome person on two legs in a ten mile radius. Finally, remember when Swatches were all the rage back in the 1980s? 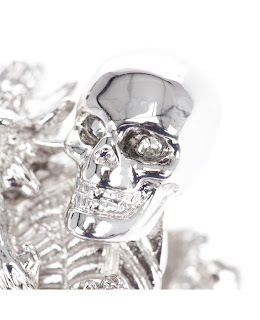 Grade school and Swatches were the last time I actually wanted to wear a watch, but I find myself wanting to sport one of these comic book styled timepieces from the company and designer Jeremy Scott. I don't understand how you could wear that ring and not gouge out important pieces of yourself! Maybe the Terminators plan to weaken us through jewelry-induced blood loss. Maybe it's the same idea that was behind pale skin and long fingernails in centuries past. Only the rich could afford to stay inside, avoiding the sun and do absolutely nothing with their hands to keep those long nails in shape. 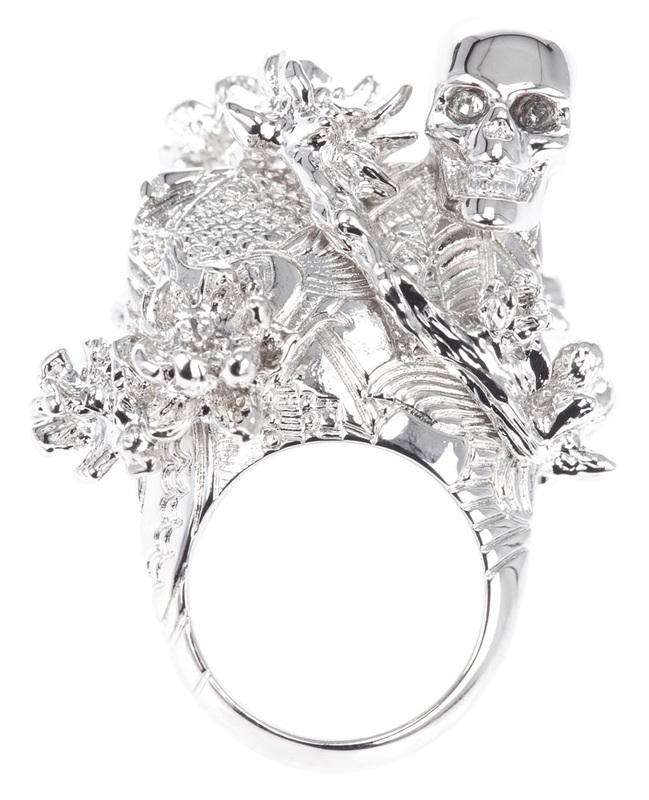 Alexander McQueen wants you to do absolutely nothing with your hands in order to sport the ring. That would also explain the high heels. I would need staff to carry me from place to place if I were wearing those.